Data loss was costly for Telekom Malaysia. The company, the second largest telecommunications provider in South Asia with an annual turnover of $5.5 billion, discovered that its tender process was undermined by stolen data. An $85 million contract had been awarded to Alcatel-Lucent as the result of confidential information from a bribed official. This was no one-off incident. The French IT company had admitted multiple instances of this behavior and was fined $137 million by a United States court for its actions in Malaysia and other countries. 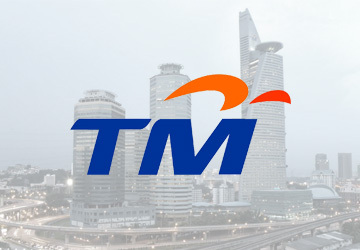 In response to government demands that TM improve data handling standards, the company responded with plans for the Telekom Malaysia Tender Evaluation Centre(TMTEC), a locked-down office with the latest desktop and data security systems for processing confidential tenders. The future location of TMTEC was a given: It would be sited on the 50th floor of the TM building in Kuala Lumpur with a dedicated elevator, controlled access, and individually checked-in employees. But the data control system was less clear. The tender called for a data loss prevention (DLP) solution to be installed on nearly 90 employees’ computers, use of encrypted flash drives, and document storage on a secure intranet. TM invited its registered suppliers to compete in the tender and received bids from industry leaders such as Symantec and IronKey. Safetica participated via its distributor Iconic Innovations and their partner firm Privasia Technologies. With Safetica, Iconic Innovations was able to beat back competitors offering expensive hardware or a DLP addon to an antivirus solution. The winning bid incorporated Safetica software with 86 flashdrives, one console in the TMTEC secretariat, and a management server and a database server residing at an external TM data center 30 km away. The new DLP solution has employees daily checking in at the TMTEC secretariat, with each receiving a computer and an encrypted flashdrive to use as their working space. At the end of the day, the secretariat checks the hardware back in, uploads the documents to a secure server, and shreds the data on the flashdrives ahead of the next day. Safetica substantially lowered the cost of lost data for TMTEC. “It usually costs around $400 for each secure thumbdrive, and with 86 of them – someone’s going to lose it. But with Safetica, any ordinary USB flash drive can be encrypted. This was the real deal maker. Even in training, they lost four of them,” remembers Mitthiran. Successfully implementing the DLP system at the Telekom Malaysia Tender Evaluation Centre is a proof that Safetica is a great alternative to enterprise DLP solutions for its to quick deployment, easy maintenance and great value for money even for large organizations.